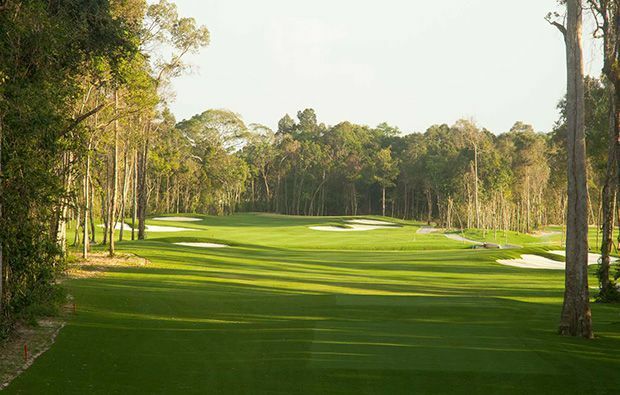 Vinpearl Golf Club Phu Quoc, the first to boast 27 holes was cut out of the hardware forests and weave through streams and resevoirs. Made up of three loops of 9, each moving away from the central club house in different directions. The Nha Trang and Phu Quoc are played through the heavily forested areas whilst the Quy Nhon holes are more exposed and meander through the larger lakes on the island. A superb mix of holes that keep the golfer thinking throughout the round make for one of the most complete golf courses in Vietnam. The location of the golf course lends itself to spectacular and mind blowing views of the local landscape and offers an insight into the culture of the area, something that few golf courses can claim to do. Each of the courses offer the golfer something slightly different resulting in a memorable 18 holes regardless of which loops of 9 you choose to play. The service and facilities at the club are superb with a caddy service that just has to be tried to understand the quality of the advice that they offer. The female caddies are highly trained and offer sound advice on how to play the golf course, whilst maintaining the highest level of etiquette. The wind plays a huge role in how you will find the golf course, with the sea breezes constantly changing club selection and keeping the ball on the narrow, undulating fairways with water coming into play on many holes, is key to scoring well at Vinpearl Phu Quoc golf club. The fairways are superbly manicured and a joy to play from, allowing for crisp wedge shots and high floating fairway woods. 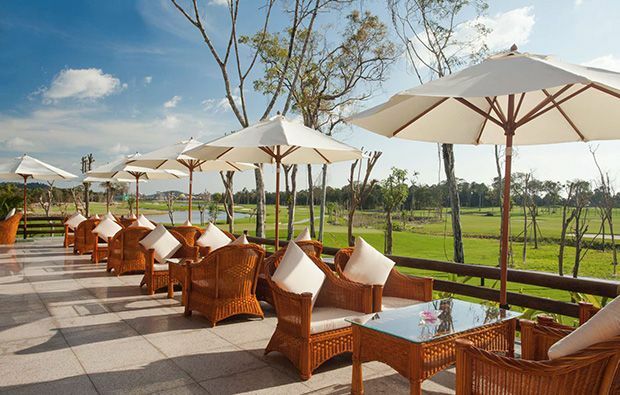 The clubhouse facilities are somewhat small, but they cater for any need that the golfer may have on their visit to Vinpearl Phu Quoc. Staff are always on hand to offer a friendly service and attend to your every wish. The 45 holes of the two Vinpearl courses are spectacular and have to be some of the most beautiful holes in the world of golf. 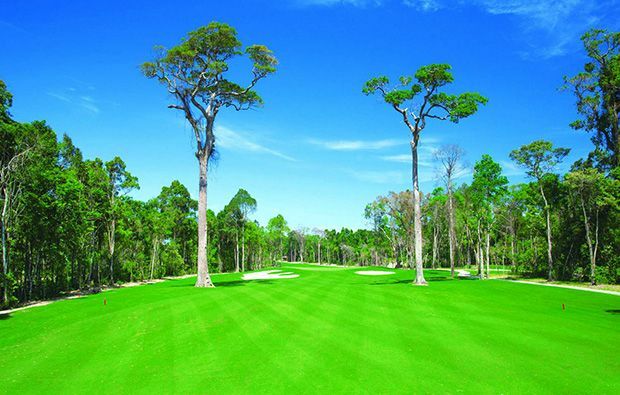 They are all an absolute must for golfers that are considering travelling to Vietnam, and the entrance by speed boat gives a splendid introduction to truly luxurious golf at extremely reasonable prices. Vin Pearl Phu Quoc has different Services to offer. Choose a date and number or players to see the rates.